Cary Wong, CFP®, is the founder and president of GMT Wealth Management. She describes herself as a student at heart. She believes in the power of knowledge and the value of ongoing education in her industry. She is continually looking for opportunities to deepen her industry knowledge and consistently exceeds the minimum requirement for continuing education credits. Cary is committed to eliminating the noise proliferated by the media by helping to align clients financial goals with their personal values. This alignment is achieved, and maintained, through the process of consistently having good, old-fashioned, face to face meetings, where she can look eye to eye, and shake hands with the people her Practice serves. The process is backed up with access to sophisticated cloud based technology 24 hours a day, 7 days a week. Cary has over 16 years of professional work experience in the Financial Services industry. She is a member of the Financial Planning Association (FPA) and, the Insured Retirement Institute (IRI). Cary has earned the CERTIFIED FINANCIAL PLANNER ™ Professional certification in addition to holding Securities registrations for series 6, 7, 24, 63 and 65 through LPL Financial. Cary is also licensed for life, disability, health and long-term care insurance. She started her career in the Financial Services industry in 2000 at the Vanguard Group in Scottsdale, AZ where she obtained her Series 6 and 63 securities licenses. In 2002, she joined Edward Jones in Tempe, AZ and obtained her Series 7 securities license. A year later, in 2003, she moved to Spokane, WA where she worked as an Investment Representative with Edward Jones. In 2007 she was ready to spearhead her own Practice to reflect her values, beliefs, investment philosophy, and financial strategies. 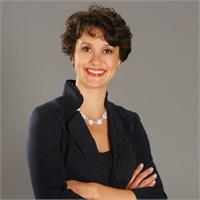 Cary launched her business, Wong Financial Services, Inc. in 2007 after joining LPL Financial. As Cary added specialized talent to her business, Wong Financial Services experienced rapid growth. In 2015 she changed her business name to GMT Wealth Management. The name of the business changed but the commitment to provide clients with an unparalleled experience with a full service financial services firm remains the same. Cary has several activities and interests that keep her busy when she is not at the office. She has a Cockeranian (Cocker Spaniel/Pomeranian mix dog) which she enjoys taking for walks and occasionally brings to the office. She is an avid reader and enjoys traveling, both domestically and internationally. In line with her “student at heart” mentality, she takes golf lessons to improve her game and enjoys regular visits to the gym. In the winter months, you’ll find her on the slopes of Silver Mountain in Kellogg, ID where her second office is (conveniently) located. Cary is also passionate about music and the performing arts. She enjoys the symphony and live performances at the theatre.